Seoul - Samsung Electronics beat analysts’ profit estimates on booming exports of memory chips, but warned of challenges in smartphone demand in the coming months. Net income rose to 11.6 trillion won ($10.7bn) in the three months ended March, the Suwon, South Korea-based company said in a filing on Thursday, exceeding the 10.9 trillion won average of projections compiled by Bloomberg. Sales climbed 20% to 60.6 trillion won. Although the results demonstrate the chips business is strong, Samsung offered no such reassurance for the smartphone industry, where suppliers have issued gloomy outlooks and seen their shares fall in the past two weeks. The Korean company said its own mobile division will see declining profitability amid weak demand and warned of softer demand for the screens used in Apple’s flagship iPhone X smartphone. “Semiconductors are doing better, and it sets the stage for a very strong second quarter,” said Sanjeev Rana, a Korea technology analyst at CLSA. Samsung shares rose as much as 3.2% on Thursday. The stock has fluctuated this year on concerns of slowing chip and smartphone markets after they traded near record highs in 2017. The mobile-phone industry has hit a slowdown as major markets from the US to China grow more saturated. Global smartphone shipments fell 8.5% in the fourth quarter and declined 0.5% for the year, according to researcher IDC. Samsung held 22% of the market in 2017 based on shipments, while Apple had 15%. Huawei, Oppo and Xiaomi rounded out the top five. Samsung’s chips unit posted operating profit of 11.6 trillion won, three times as much as the higher-profile mobile division. Samsung controls about two thirds of the global DRAM market, and contract prices for 32 gigabyte DRAM server modules climbed 5.6% in the March quarter from the December period, while prices for 128 gigabit MLC NAND flash memory chips fell 11%, according to inSpectrum Tech. Samsung’s mobile unit, which rolled out its flagship Galaxy S9 smartphone in February, reported operating profit of 3.77 trillion won. 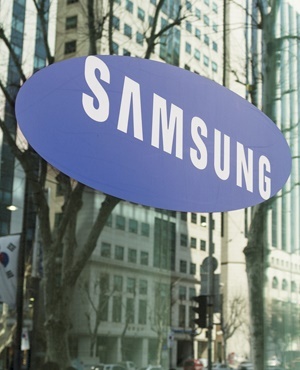 But Samsung warned in a statement that its mobile business will see “stagnant sales of flagship models amid weak demand and an increase in marketing expenses” in the current quarter. “Samsung is facing competition from every direction, from Chinese-based OEMs in the low- and mid-end segment and from Apple in the high-end segment,” said Jusy Hong, analyst for mobile devices at IHS Markit. For the display business, Samsung reported profit of 410 billion won, saying that the result was “affected by slow demand for flexible OLED panels,” which are the screens used inside the iPhone X. “Apple’s iPhone X shipments have actually been pretty bad, so everyone is looking to the next model cycle,” Rana said. Even though it warned of slow OLED demand, Samsung does anticipate - like some other Apple suppliers - a component rebound in the second half, when Apple typically releases new models. Apple is preparing to launch two new smartphones with OLED screens later this year: an upgrade to the iPhone X along with a larger version with a giant display. Samsung’s stock will be suspended from trading from April 30 to May 3 for a 50:1 split approved at a shareholders’ meeting last month. The meeting ushered in a new generation of board members to help chart a path under Jay Y. Lee, a vice chairperson who has led the company since his father Lee Kun-hee had a heart attack in 2014. The 49-year-old heir was released in February on a suspended prison sentence for a bribery conviction, which he plans to fight at the Supreme Court.